I am no longer at the Columbus airport. This entry was posted in Travel and tagged airport, arizona, ohio on September 17, 2013 by mdw. At the Columbus airport again. This entry was posted in Travel and tagged airport, ohio on September 17, 2013 by mdw. I googled Israel Wells and got this. I clicked on W001 Descendant Chart and got this. Scrolling up to the top takes you to Thomas Welles, who is apparently my 9G-grandfather. UPDATE: The top level of the Wells DNA search is here, with many surnames. 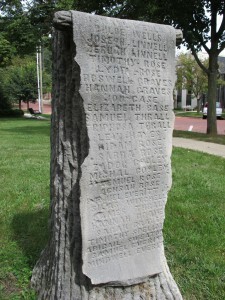 This entry was posted in Uncategorized and tagged genealogy, granville, ohio, wells on September 16, 2013 by mdw. This entry was posted in Travel and tagged nerk, ohio on September 16, 2013 by mdw. 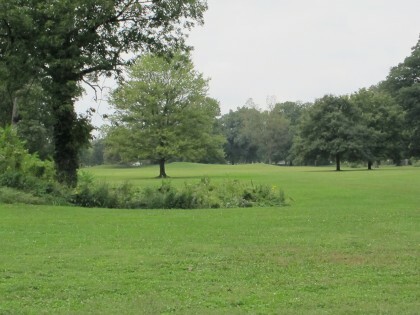 We visited the Newark Earthworks, or at least part of it. It’s very spread out. 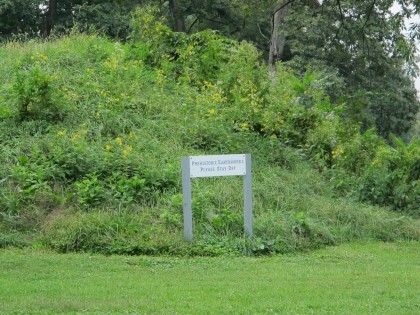 This photo shows the mound at the center of the Great Circle Earthworks, which contains a ceremonial longhouse. Newark is pretty beat up and has several redevelopment areas that don’t seem to be redeveloping very well. I didn’t see anything that looked like a clothing or souvenir store and thus did not succeed in finding a Nerk shirt. 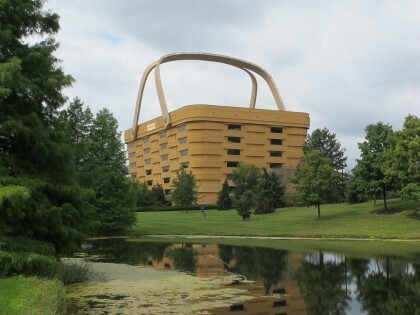 But I took a picture of the Longaberger basket building, and that’s nearly as good. 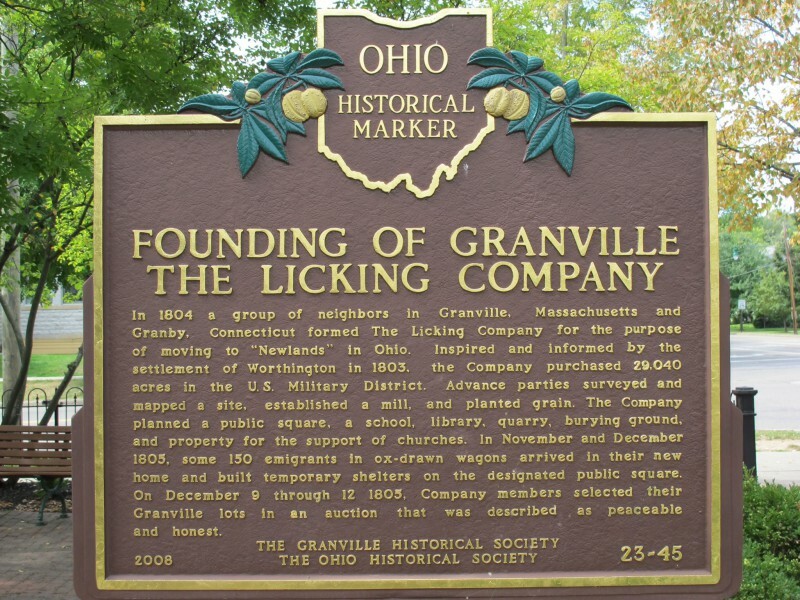 This entry was posted in Travel and tagged granville, ohio on September 15, 2013 by mdw. After the last of the reunion get-togethers, we drove out to Granville and wandered around downtown for a while. 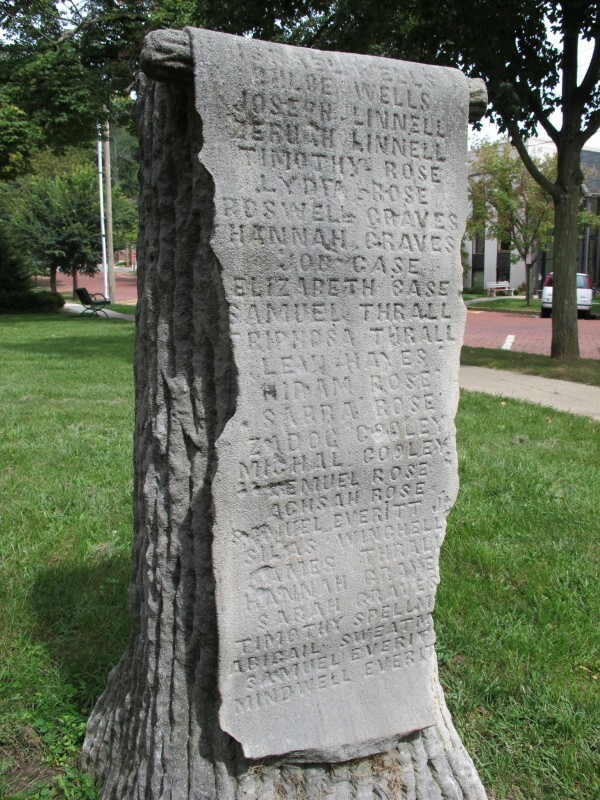 Granville was founded by various of my ancestors, and there’s a monument to that effect next to the Presbyterian church. A person could get fat very quickly eating Ohio meals. 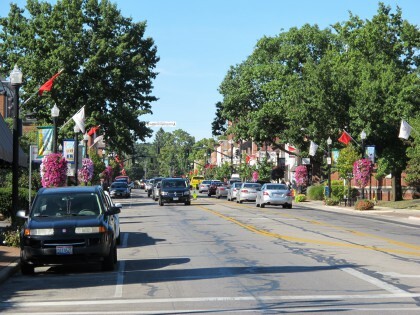 This entry was posted in Travel and tagged cuisine, ohio on September 14, 2013 by mdw. This entry was posted in Travel and tagged ohio, westerville on September 14, 2013 by mdw.